When most people think of the heroes and legends of classic Seventies melodic progressive rock, usually the major English bands come to mind like Yes, Genesis, or Pink Floyd. But there were a host of other bands, some not so major, possibly somewhat more obscure, that also rose from England and the European theater. Camel and Curved Air come to mind, also Germany's Triumvirat, or then there's the Dutch band Kayak. Formed in 1972, my first experience with the band was with 1976's The Last Encore in high school. 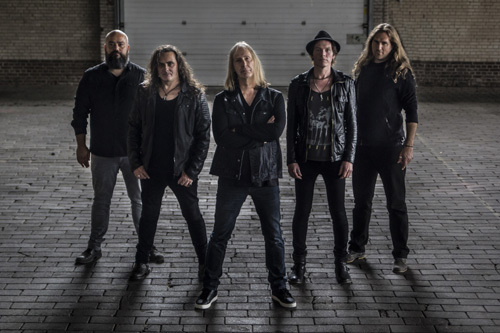 Original founder, keyboard player, and composer Ton Scherpenzeel returns with a fresh Kayak line up to deliver the band's seventeenth studio album, aptly Seventeen. Curiously, with the blue art work, the album shares some similarity to the band's first album See See The Sun. To get you up to speed, guided by Scherpenzeel's keyboard compositions, Kayak plays melodic progressive rock with some obvious overtones to symphonic rock and classical music. Scherpenzeel's piano lines often have a classic air or tone to them. Good examples are found in La Peregrina, especially at the midpoint and then later about three quarters in. Even so, these segues are often surrounded by voice and guitar. Other examples come within Walk Through Fire or the instrumental Ripples In The Water where his piano is embraced by acoustic guitar, before leading to an electric solo. Yet, there's also some "rock" in Kayak's progressive rock as well. Somebody, Le Peregrina, All That I Want, and Love Sail Away can juxtapose heavier moments with lighter segments, again returning to the piano. But that characteristic, the mixture of heavy and soothing, is also something of an overarching motif to the album both within songs and between songs. Progressive rock bands are known for creating more than a few epic and lengthy songs for an album. But for Kayak, of the twelve songs here, eight of them come in at a mere three minutes or so. Yet in those three minutes Kayak packs some creative punch. Suffice to say, if you're a fan of band, or simply love old school and classic melodic progressive rock, you will definitely enjoy Kayak's Seventeen. Recommended. 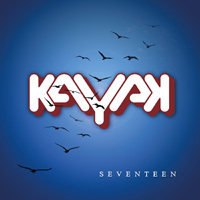 Suffice to say, if you're a fan of band, or simply love old school and classic melodic progressive rock, you will definitely enjoy Kayak's Seventeen. Recommended.